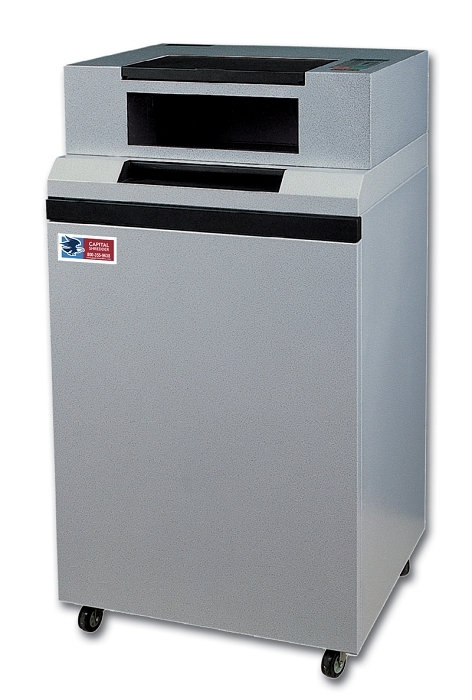 The DL-10XD is a Level 3 / P-4 Cross Cut Paper Shredder built for long term durability and High Volume use. Dual Feed Openings including a Hopper Feed for Multi-Media and crumpled paper. With an Enhanced Cutter Design, Large Steel Gears and an All Metal Chain Drive the DL10XD uses no internal nylon or plastic gears as is common in lower quality shredders. Easily handles CD s and Credit Cards as well as paper. Safety Interlock Switches shut off the shredder and notify the user when the bin is full or the door or hopper is open.